SUNDAY LOWDOWN: Whoa! Wavy Gravy in Arcata, Man! Far out! 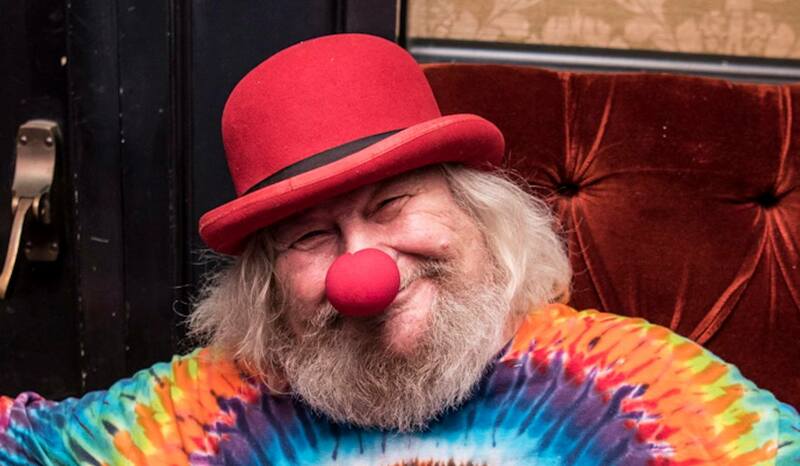 Sunday night the Arcata Playhouse is hosting a benefit show for Camp Winnarainbow, Wavy Gravy‘s youth performance camp in Mendocino County. The evening features performances by local ?? ?grass faves Absynth Quartet and Grateful Dead tribute band Dead On. Oh! And the wavy one himself will emcee! An amazing opportunity to tour the tall ships from Washington State. 20 teams will compete to make their best dish incorporating the famous canned meat SPAM at the 10th annual cook-off! Sample their creations and vote for the People’s Choice Winner! Three friends make their rhythm & rhyme in songs about life, heartache, mystery, and introverted love. Guitar, fiddle, & upright bass form the foundation of their sound, with original & thoughtful vocal lines interweaving melodies throughout. Clear your head and body with the ‘Fish Out of Water’ 5k. Post race, treat yourself to a Bloody Mary, just down the street or around a corner in lovely Old Town. See Event Description / 10 a.m.
Join your local public safety agencies for a day out in the park! Come watch a helicopter landing, look inside the Sheriff’s Sno-Cat, Bearcat, and other emergency equipment,meet HCSO K9 Gusto, learn how to get prepared for a disaster, and much more! The final concert of our 49th Spring season, in the afternoon in fabulous Ferndale. A diverse selection of sacred music to enliven heart and soul. Directed by Betty Diehl.